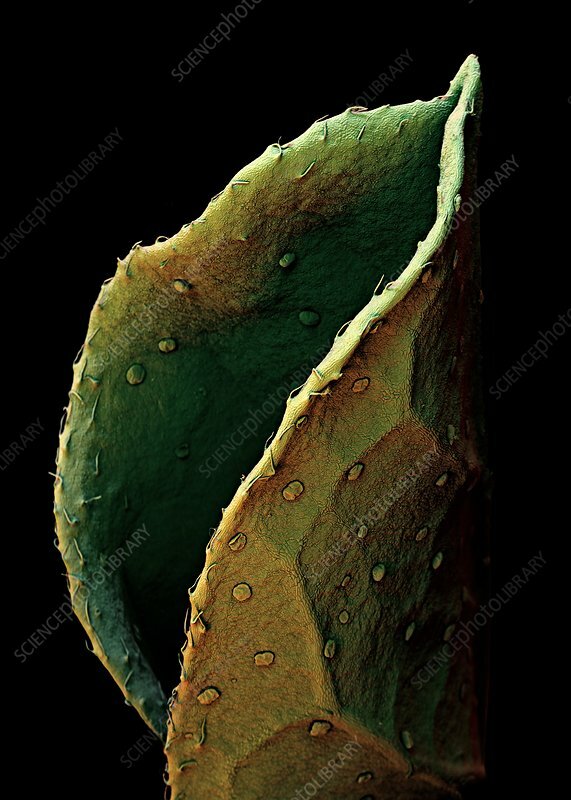 Liquorice (Glycyrrhiza glabra) leaf, coloured scanning electron micrograph (SEM). The root of this plant is used as a tobacco and sweet flavouring. The rounded objects on the leaf surface are a type of trichome, a specialised structure that can be glandular in nature.